The PSPgo might be dead in Japan and Europe, but it'll still be manufactured for the North American market. It was a sad day for the PSPgo when Sony recently confirmed that the system would no longer continue to be shipped to retailers. Apparently, reports of the digital download-only handheld's demise were somewhat region specific, as it may continue to live on in North America alone. 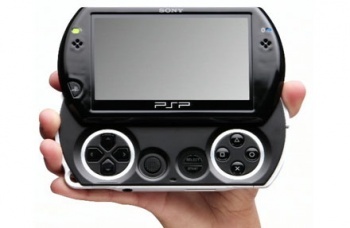 Sony Computer Entertainment of America evidently told Joystiq that the PSPgo will continue to be manufactured for the North American market. "We are continuing production of PSPgo for North America," SCEA specifically said. This would mean that North America, and only North America will eventually become the only place to pick up a new PSPgo if they sell out in Europe and Japan, where Sony has revealed that the PSPgo is done. The PSPgo's discontinuation likely stems from its difficulty at catching on in the market, and the future release of Sony's next-gen NGP handheld. What I'm wondering is: Why? One can only guess that the PSPgo is somehow earning Sony a profit in North America, even though it doesn't seem to be a very popular device.